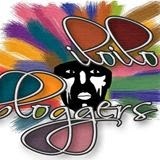 Every year, it is a routine in our family and with our relatives to visit churches during holy week. 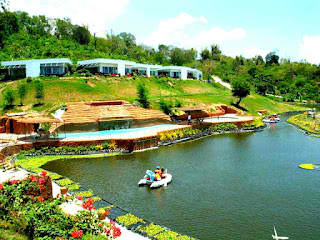 This time they decided that we go to a different place and that was Garin Farm Inland Resort. 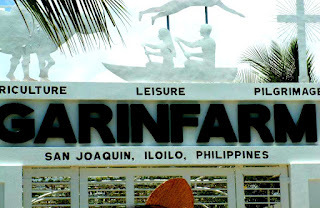 It was located in San Joaquin, Iloilo and it's an hour drive from the city. 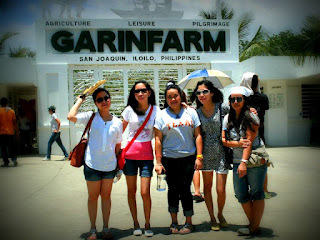 This is a picture taken outside Garin Farm together with my sisters and my cousins. 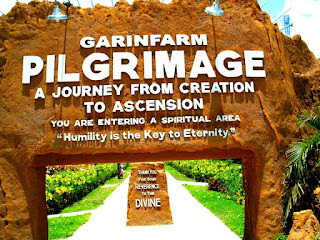 As we went inside Garin Farm, we were amazed how they maintained the place clean and green. 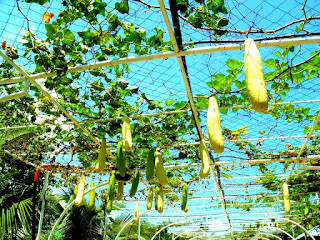 We saw lots of hanging vegetables that were organically grown. 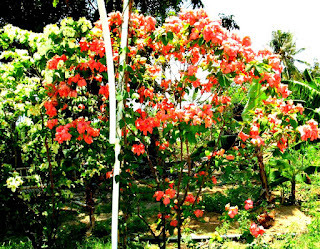 Beautiful grown flowers were also seen along the path. At the right side of the path, we could see animal houses. 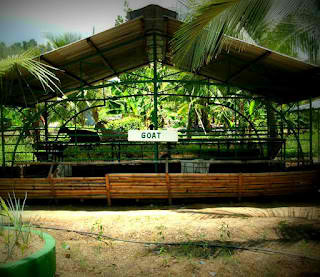 Among the animals that the farm breeds are chickens, goats, rabbits, pigeons, turkeys, sheep, and other livestock as application of integrated farming. 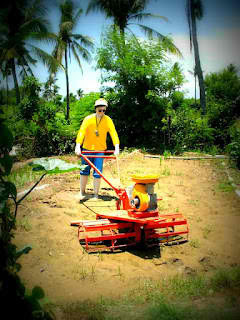 This is the modern ilonggo farmer. What makes this farmer modern is that he has a cellphone hanging around his neck! 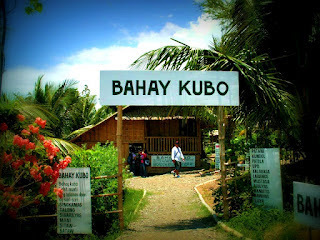 This is the Bahay Kubo that shows you how to produce vegetables, fruits, and livestock. This is Garin Farm's Executive Conference Room. 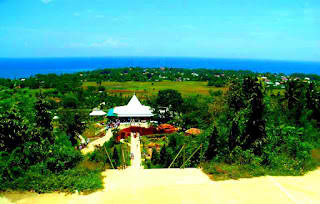 When we arrived at the hilltop, this is what we found. 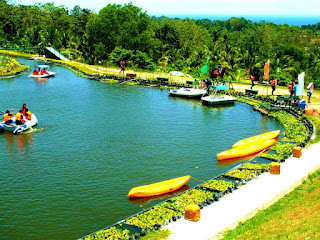 You can do single kayak, double kayak, pedal boat or rubber boat. 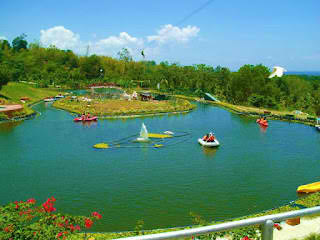 You can also do horseback riding or zipline. 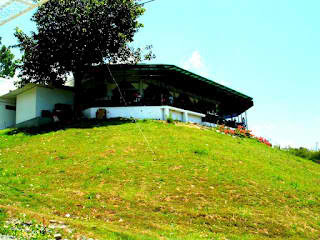 If you want you could stay at their air-conditioned hilltop rooms. They have family, double, or single rooms available. 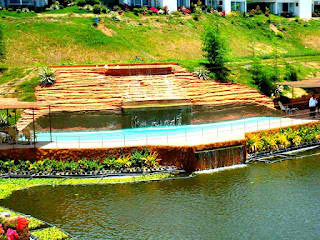 To have a refreshing and relaxing visit, try to take a dip in their hilltop swimming pool. The entrance to the Divine Mercy Cross. 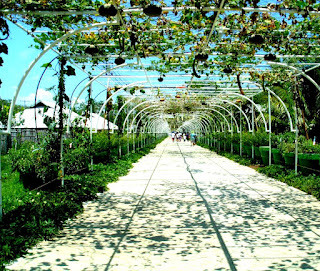 The entrance was constructed with a low beam to remind all guests to bow before the Anointed One and give due reverence. 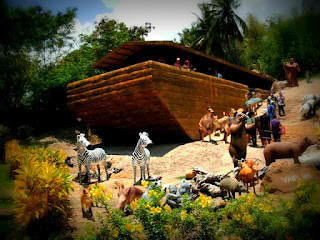 As you make your way to the Divine Mercy Cross, you will see exquisite replication of Noah's Ark. 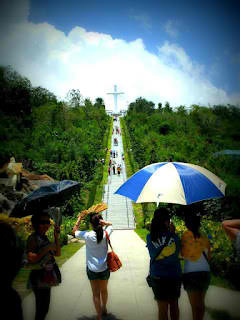 The way to the Divine Mercy Cross. 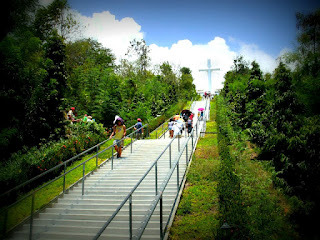 To reach the Divine Mercy Cross, you must journey through the 456 steps. 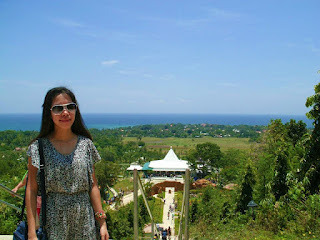 My twin sister with the pleasant scenery behind her. The breathtaking panorama of nature. 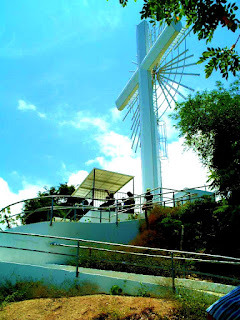 I finally reached the Divine Mercy Cross and it was worth the climb. Even though my knees were shaking, I was still in awe when I saw the beautiful view of nature. 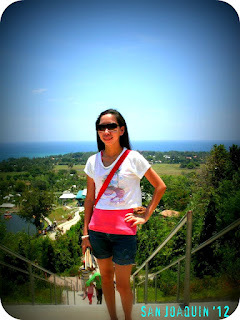 When I reached the Divine Mercy Cross, I had a picture taken as an evidence that I had survived the 456 steps! It was such a breathtaking experience! For map direction, CLICK HERE.